The Wandering Hearts are following in the footsteps of last year’s Millport CMF headliners, The Shires, and Ward Thomas in stepping to the forefront of the UK country scene. Signed to Decca, the band, which consists of Tim, Tara, AJ and Chess, released their superb debut album in February and are on a trajectory straight to the top. Their album features their amazing harmonies and what is even more amazing is that they reproduce those harmonies flawlessly live. They are a terrific live band and are not to be missed! 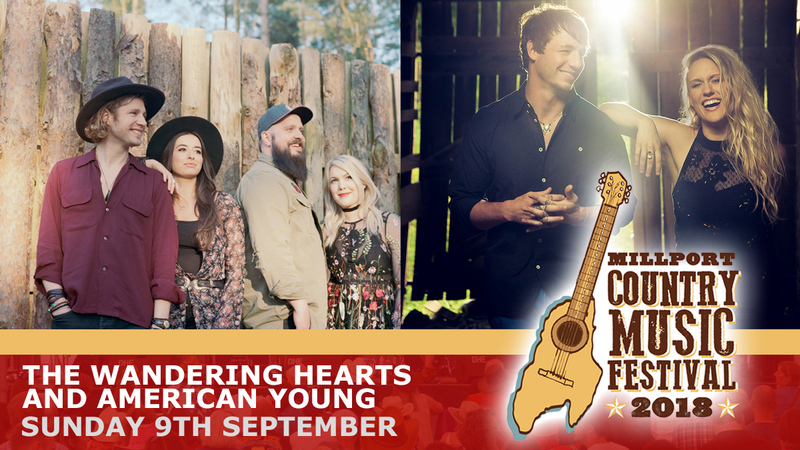 Located within the Garrison House grounds at the heart of the beautiful seaside town of Millport on the Isle of Cumbrae, less than an hour from Glasgow, Millport Country Music Festival will offer access to all four music stages with one cracking value ticket. Daily and weekend tickets can be bought at millportcountrymusic.com and facebook/millportcountrymusic.